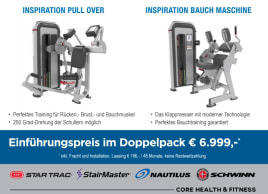 Special offer: INSPIRATION PULL OVER + INSPIRATION ABDOMINAL MACHINE - directly from the manufacturer! Abdominal machines which are also called simply ab machines strain the abdominal muscles and are especially effective for six-pack training. 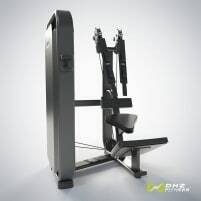 Training on this gym equipment sends stimuli to the abdominal muscles to support muscle growth which then takes place in the resting phase after the training. To gain an effective result 10 minutes of training with about 12 repeats of 2 or 3 sets are recommendable. Of course the suggested number and intensity of exercises depends on different factors. 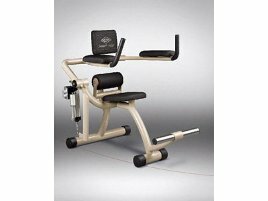 Doing exercises on a new or used abdominal machine is very easy. It is recommendable to vary the weights and do 8 to 15 repeats in slow velocity. Like with any other workout, a good warming up is very important to avoid injuries. Beginners should start with less weights and increase slowly instead of starting the training with too much weight. 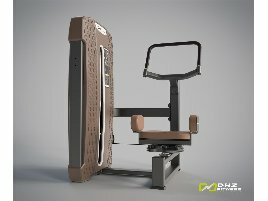 It is recommendable to get advised before using the gym equipment by an expert or fitness trainer who can show you the most effective exercises and suggest an individual suitable weight and exercise load. 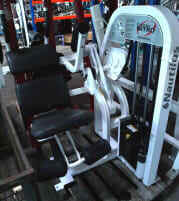 To get a flat and muscular abdominal it is not necessary to go to gym every day. 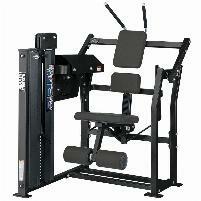 You can also buy used abdominal machines for training at home. 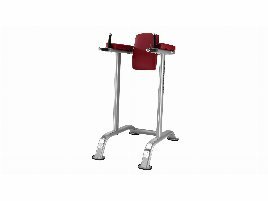 This equipment trains especially the abdominal muscles, but you should take advice from an expert about body posture, weight and frequency of exercises. 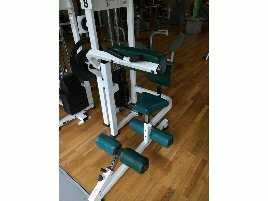 Are you closing down a gym and want to sell used training equipment? 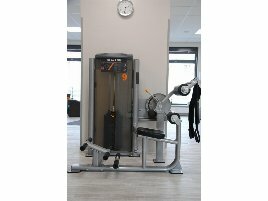 On fitnessmarkt.com you have the opportunity to insert new or used abdominal machines and reach a large number of prospective buyers. You can create an ad in just a few steps. 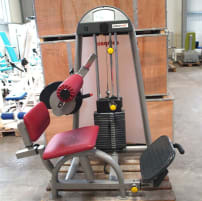 A detailed description as well as some pictures of the new or used abdominal machine are recommendable so the prospective buyer has the most important information just at a glance and support the buying decision.